A panorama view of the new equipment at KGRS (left to right) the tipper, conveyor, grinder and bailer. Photo by Melinda Meredith. The Kentucky Government Recycling Section (KGRS) recently invested $326,000 to upgrade equipment at its paper-processing facility located in Frankfort. The facility handles mixed office paper, white paper, newsprint and corrugated cardboard from state agencies and state universities across the Commonwealth. The service not only provides cost savings for shredding confidential documents, it also ensures benefits such as energy savings inherent to recycling. Every year, Americans burn more than 800 million gallons of gasoline mowing their lawns. Our love affair with the perfect lawn comes at a hefty price for public health and the environment. Gas mowers emit hydrocarbons, particulate matter, carbon monoxide, and carbon dioxide. The smaller engines in lawn mowers and other lawn care equipment also burn fuel less efficiently and emit far more of these pollutants than the family car. 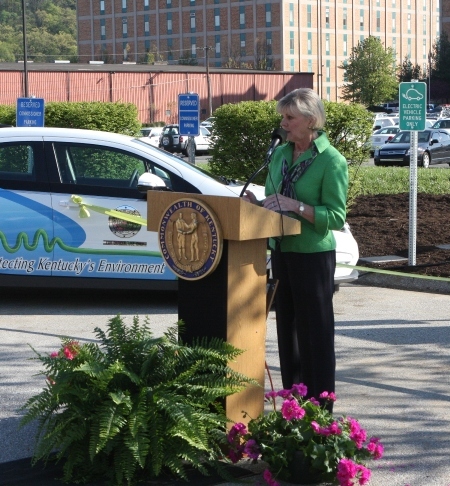 First Lady Jane Beshear makes remarks at DEP’s green fleet event on Earth Day. 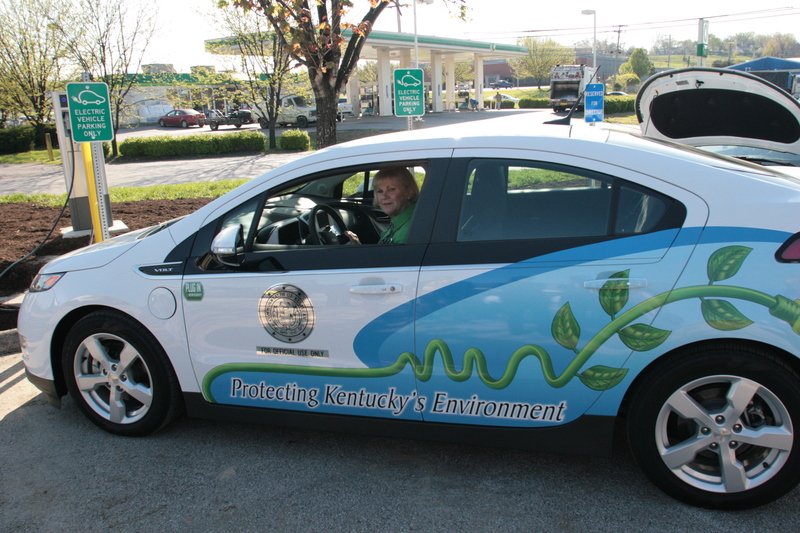 First Lady Jane Beshear welcomed the first electric vehicles into the state vehicle fleet yesterday in a ceremony that kicked off a day of Earth Day activities. Energy and Environment Cabinet Secretary Len Peters, Finance and Administration Cabinet Lori H. Flanery, and Division for Air Quality director John Lyons joined the First Lady in the ribbon-cutting. The First Lady led the ceremony surrounded by four new Chevy Volts and two charging stations that were recently installed outside the headquarters for the Department for Environmental Protection. 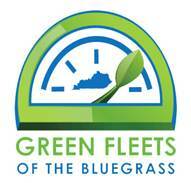 The vehicles and charging stations will be used by state workers conducting official business on behalf of the Commonwealth.